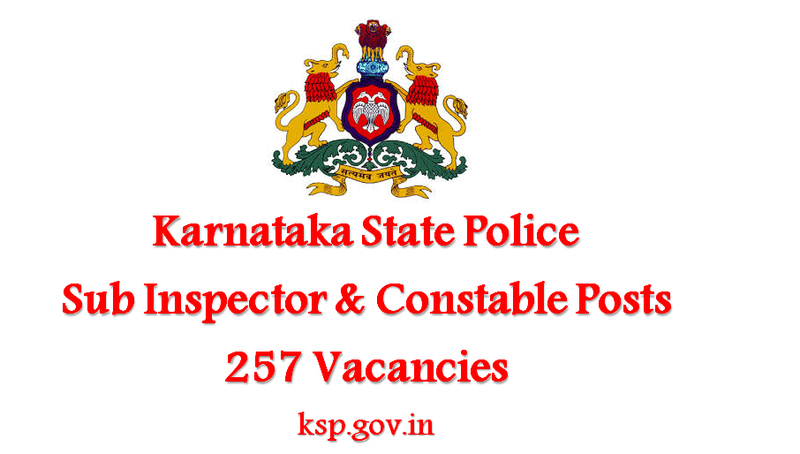 Karnataka Police has invited applications for recruitment to the post of Sub Inspector (46 vacancies) and Constable (211 vacancies). Police constable job aspirants are suggested to go through the detailed notification and apply latest by 07 December (SI post) and 14 December (Constable post). Details can be found here. Educational Qualification for Constable Post: PUC in Science (Physic & Maths) or 3 Years Diploma In Electricals/ Electronics/ Telecommunications & Computer Science. Interested and eligible candidates are required to send their application in the prescribed format. For more details go through the ‘how to apply’ instructions in the detailed notification below.